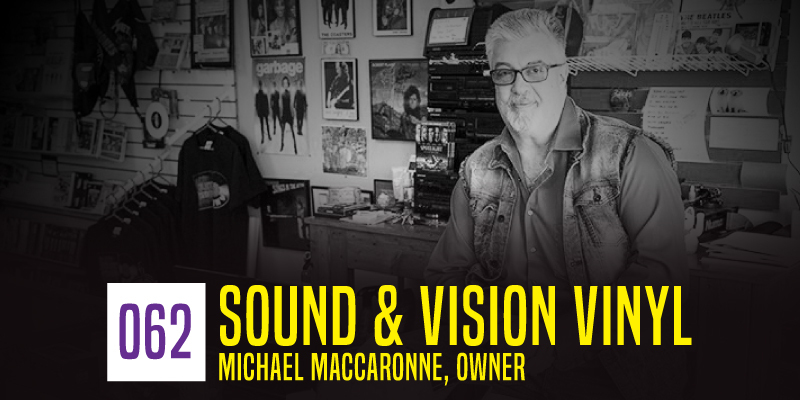 New York native MICHAEL MACCARONE, along with his wife Pam Lancaster opened SOUND & VISION VINYL back in October of 2015! Michael became passionate about music in is youth after seeing The Beatles live on The Ed Sullivan Show and it has become his life since! We get into his history of running record stores back east for over 30 years, what lead him to Utah and what he wants the record store to be for his patrons! What Is Vinyl’s Significance Is The Current World Of Music? LINKS: Website | Facebook | Instagram | Yelp!